Years ago, without getting on a 'plane or comparing notes with a friend around the world, we'd have been quite oblivious to prices of books from country to country. Even with the internet, I'm willing to bet that most people are unaware of pricing around the world. With ebooks, however, the differences seem to be glaringly in the face of some people. I think it's a natural question to ask why an ebook - a simple digital file - would be priced differently between countries, but there are actually quite a few factors to consider. I wrote a while ago that I really don't think an ebook ought to be cheap simply because it's more easy to distribute. Sure, the manufacturing part is much cheaper and there are no fuel costs and warehouses to pay for. But for large publishing houses that amounts to about 20% of the costs and there are still big overheads to cover (editors, marketing, buildings, staff, digital coders/ formatters, authors, advances and so on). With ebooks outselling paper, most of these overheads now have to come from the digital format. Either that or the paper version has to go up in price - but that will just mean more people buying ebooks and more $$ needing to come from ebooks. One could argue that lowering the price would lead to selling more, but there is a limit to that. Do you rush to buy a book just because it's cheap? Or do you want to know about the story, what reviewers think, see that it's well edited? As every retailer or manufacturer knows, there's a balance between high price/ sell few versus low price/ sell... how many to make the same profit? Even a very cheap book doesn't necessarily become a great success so the publisher/ seller needs to balance out the best pricing to still sell and get the most revenue. Even country to country, overheads differ greatly! Countries with lower land costs, employee costs, marketing costs etc probably find they have more room to lower prices. But there is a lot more to it even than that. When you click an ad that states a book is on sale at a given price, it still might be priced differently when you actually click the link and view it for your country on amazon. But why? 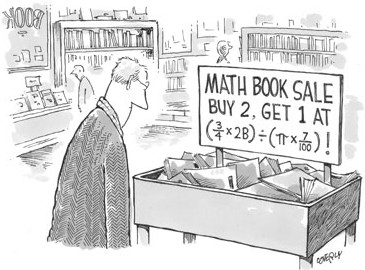 Are ebook prices more complicated? This is the most controversial but more known reason for varying and high prices. A few years ago, Apple and 6 publishers got together & decided Amazon and other bookstores shouldn't be able to set prices (Apple was about to launch iPad and wanted 'in' on the ebook sales) so they developed the Agency Model, in which the publishers (not the sellers) set the price. In this model, Apple could get into the market because Amazon wasn't allowed to undercut them in price. Sound like collusion and price-fixing? The government thought so too, and last year the US government sued these companies on the basis of price-fixing. Three of them have since backed down and now Amazon can change prices for those publishers. In USA. This is a US court battle, and cannot affect laws in other countries. Canada, and others, are also suing the companies and hopefully they will be settled in the same manner. In the meantime, some of those books will be discounted in USA but Amazon can't do that in Canada, Australia etc. Not all books are published in all countries. A writer might have a publishing deal in America, but not Europe, for example. It is not rare for writers to have different publishers, country to country. They might use Publisher A in USA, and publisher B in Australia. One or both might publish in ebook format, but they could quite easily charge different prices. You see this in paper too, not just ebooks. This is the most complicated reason. Copyright laws vary country to country. Some authors might own the paper copyright but not the ebook. Some books might be in the public domain in some countries, but not others. Sometimes the copyright holder hates ebooks. Sometimes there's confusion over who owns the digital rights.In each case, this can have an impact on price. It is understandable that publishers will run promotions and sales to match their market. For example, to price match with local stores; to sell books in a theme that is popular in some locations or pertinent to a local event. Or they might simply be rotating promotions. All this mostly gets noticed when a book is advertised on sale on a blog or facebook page like ours, especially since most of the world's Kindle users all shop at amazon.com. UK and Germany also have their own kindle stores. 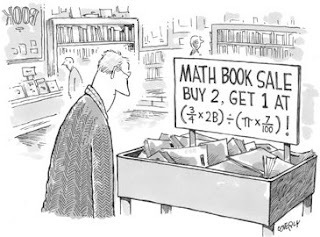 Tax plays a part in book pricing too. In the UK there is no tax on paper books but someone selling ebooks there would have to pay Value Added Tax (VAT) of 20%. Just to complicate matters some countries in Europe charge different rates of VAT. The VAT is charged at source not destination. Amazon sells all their ebooks in Europe from Luxembourg where VAT on ebooks is just 3%. The EEC is not happy with Luxembourg or France's 3% VAT rate on ebooks and is trying to get them to increase it to a minimum of 20%. In the US no tax is payable for an ebook sold out of state but that may change soon with destination state taxes being applied. Very true, John. I forgot that, and in UK it's built into the price already, whereas if tax is applicable in USA, you don't see it until checkout.